"Sculpted on the type of land where golf began," says Rees Jones,1995 Golf World Course Architect of the Year and designer of the Currituck Club. 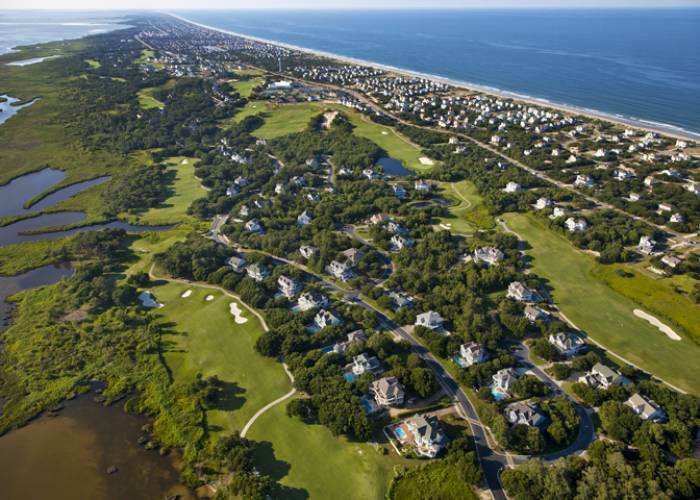 Jones produced a breathtaking layout that stretches across 6,885 yards of diverse coastal terrain, including towering sand dunes, wetlands, maritime forests, and soundside shoreline. Distinctive, well defined holes complemented by contoured bent grass greens assures a challenging golf experience. Endless subtleties combine with the ever-changing wind on the Outer Banks to produce a new playing experience with every round. The spectacular Currituck Club is a must play course located on the Northern Outer Banks in Corolla. Golf membership allows you to book tee times for the summer starting Jan 1st. These rates are for individuals renting a Currituck Club Golf Member's home or guests of Members that are not accompanied by a Member. All rates subject to change without notice. All rates include cart, green fee and taxes.